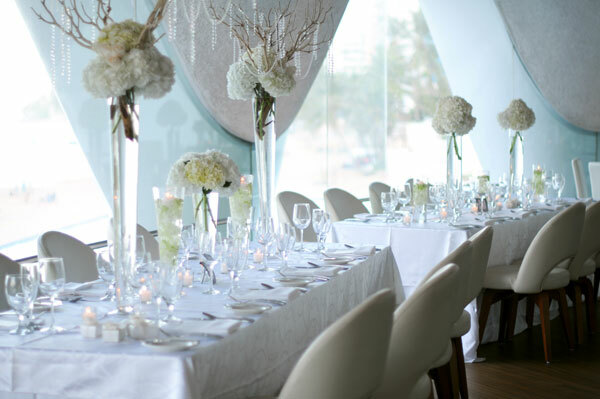 PERLA is a luxury seafood restaurant serving refined contemporary American cuisine with gracious professional hospitality. The wine cellar contains 4000 bottles with over 1000 labels. We have an extensive wines by the glass program with 30 wines offered; all climate controlled in enomatic wine preservation displays. 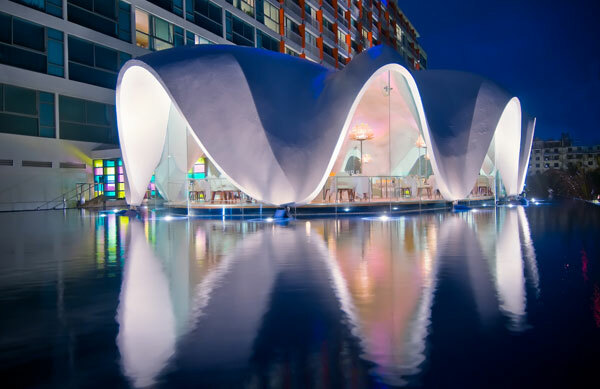 Located in the dramatic shell surrounded by a reflecting pool. 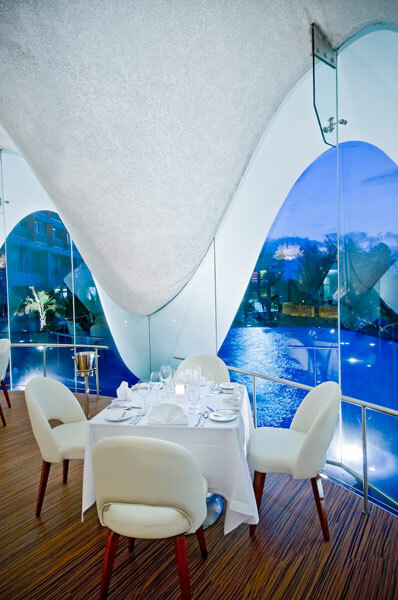 Designed by Jorge Rossello, the interior is elegantly appointed with luxurious furnishings and exotic materials. 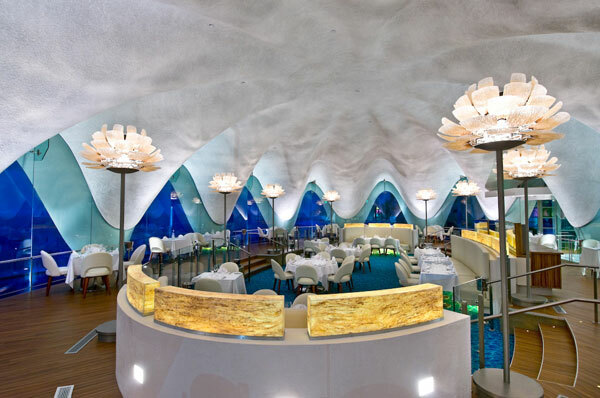 Eight hand blown Murano glass lamps illuminate the shell shaped ceiling. Dayn Smith is the innovative Chef/Owner of Perla. 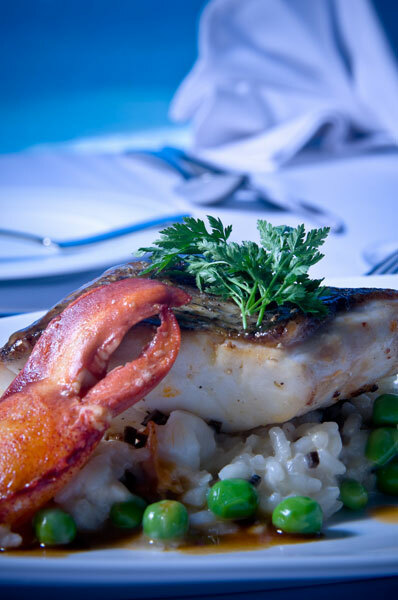 The cuisine is “Urbane” - sophisticated and well traveled. 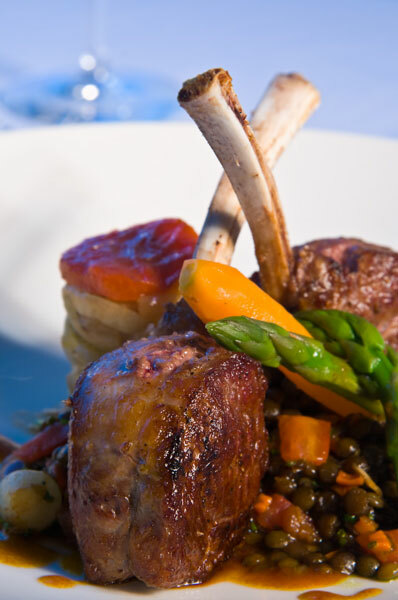 Chef Smith focuses on preparing his dishes using a very refined palette of seasonings and sauces to enhance the best products the market can supply.